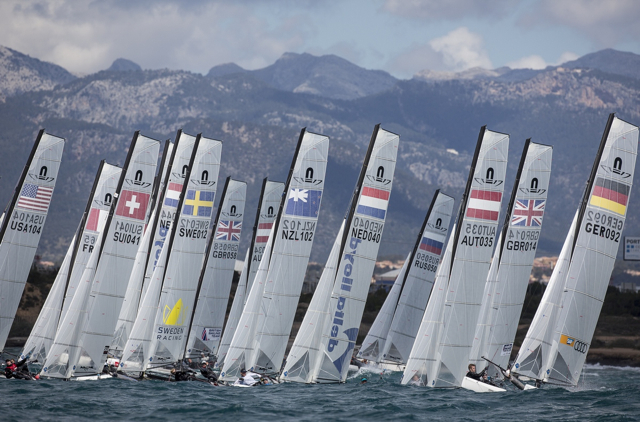 Almost 1,200 sailors from 60 nations will descend on Palma de Mallorca to compete in the 45 Trofeo Princesa Sofía, the fourth and next stage of the ISAF Sailing World Cup, that kicks of don Sunday. In the 470 men fleet, Mathew Belcher, who won gold at the London 2012 Olympics together with Malcom Page, continues to be one of the favourite teams for Río 2016 despite that he has only been sailing his new crew Will Ryan for the last year. The Australian team has shown they are at top level and are now at the top of the ranking lists. French sailors Sofian Bovet and Jeremie Mion as well as Argentinian team Lucas Calabrese and Juan de la Fuente will be the battling teams joining the Australians who are sailing under the supervision of coach Victor Kovalenko. 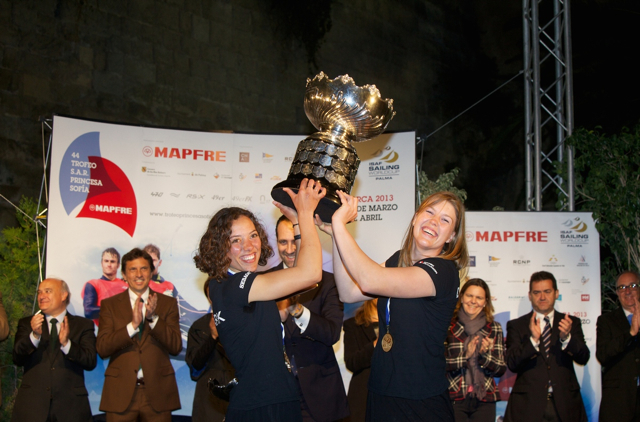 New Zealand team Jo Aleh and Polly Powrie, Olympic Gold at London 2012 and 2013 470 women World Champions have an excellent opportunity in Mallorca to show they continue to be at high level. Aleh and Powrie did not sail in the past Princesa Sofia and Brazilian team Fernanda Oliveira and Ana Barbachan claimed a comfortable victory over the rest of the fleet. The Bay of Palma will witness an interesting battle for victory in 49er. The top three classified teams in the world ranking lists will prove their value at the Sofia. 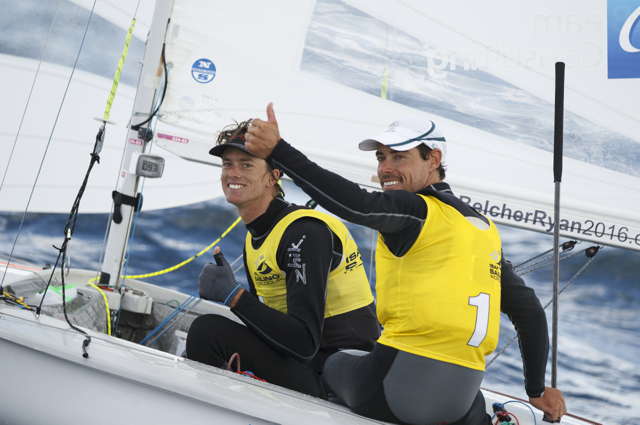 Jonas Warrer (Gold in Beijing 2008) and Peter Lang, from Denmark, arrive on the Island after winning in Miami, in which the current number one team in the class, British sailors Stephen Morrison and Chris Grube finished third overall. France brings the other strong team of the fleet with sailors Julien D’ortolli and Noé Delpech, who were fourth in Miami and won the Semana Olímpica de Andalucía held last February. The 49er FX comes with lots of surprises. The women’s skiff is a new class, with only one year of history and with big names at the starting line. 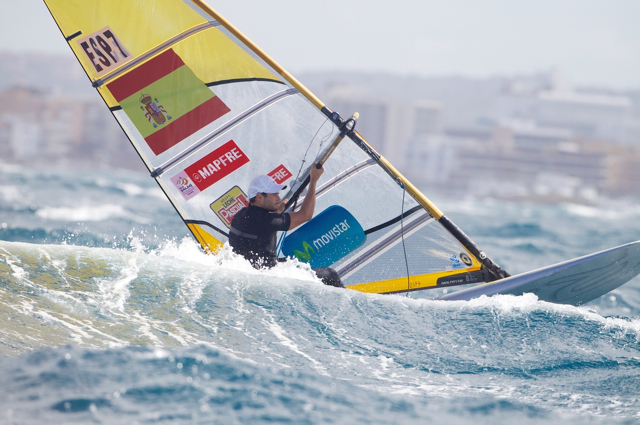 Brazilian sailor Martine Soffiatti Grael, the daughter of five times Olympic medallist Torben Grael and Kahena Kunze are third in the class world ranking lists. They are followed closely by Italian sailors Giulia Conti (Olympic diploma in London 2012 on board the 470) and Francesca Clapcich (Olympic Laser radial sailor at London 2012). One of the other new classes from last year is the Nacra 17, a mixed multihull that will have its Olympic debut in Río 2016. In the fleet, we find renowned names such as French sailor Franck Cammas, recordman and triple winner, among others, of the Transat Jacques Vabre (2001, 2003 and 2007) and the Volvo Ocean Race 2011-2012 as skipper of the Groupama Sailing Team. On the other hand, Spanish team Iker Martínez and Tara Pacheco gain strength in the class. Martínez holds a gold medal from the 2004 Athens Olympics, silver in Beijing 2008 and three 49er class World championships. These impressive career awarded him in 2011, together with Xabi Fernández, the title of ISAF Rolex World Sailor of the Year. Pacheco was the 2011 470 women World and European champion and represented Spain in the same class at London 2012 with Berta Betanzos. Ben Ainslie’s retirement from Olympic Sailing gives way to new names. Ainslie has been up to now the best Olympic sailor in history with four Olympic Gold and one silver medals, eleven World championships, nine Europeans and one America’s Cup. Australian sailor Oliver Tweddell, the current leader of the Class World rankings as well as British sailor Andrew Mills are two of the candidates to take Ainslie’s place in the class. Not to forget young British sailor Giles Scott, winner of the last edition of the Trofeo Sofia in the class and always on the podium places of the latest Olympic classes events. Big changes in the Laser standard fleet since the London 2012 Olympics. Pavlos Kontides, silver for Cyprus at the last Olympics is currently in fourth place of the class ranking list and battling against Tonci Stipanović (Croatia), Tom Burton (Australia) and Bruno Fontes (Brazil) towards Río 2016. The battle for the Laser Radial podium places will be among three sailors that have long experience on being at the top of the leader board at the ISAF Sailing World Cup events. Dongshuang Zhang from China won gold at the 2013 Qingdao ISAF Sailing World Cup event in China; Tatiana Drozdovskaya from Byelorussia finished first at the ISAF SWC held in December 2013 in Melbourne (Australia); and US sailor Page Railey arrives in Mallorca after winning in Miami last February. The RS:X men looks for a new Olympic champion. Brazilian sailor Ricardo Santos, Spanish sailor Iván Pastor and Ho Tsun Leung from Hong Kong are at present the big three names in the fleet. In the RS:X women all the interest will be focussed on the return of Marina Alabau to the fleet. The gold medallist in London 2012 will sail again the RS:X after having her first child and hoping to achieve enough level to repeat the Olympic victory. Her closest rivals will be British sailor Bryony Shaw and Italian sailor Flavia Tartaglini, the current number one and two of the class world rankings. Helena Lucas, London 2012 Paralympic champion, will take part in the Trofeo Princesa Sofia in the 2.4mR class, with a fleet of 19 sailors.